Walking along the bleak snow covered streets of berlin during frosty March evenings, you can not help yourself but be drawn into the warm, softly lit cafes and restaurants. Within you are greeted with delicious aroma’s, the sound of glasses clinking in cheers, and the chatter of friends and families, a stark contrast from the general brisk walks, and indifference of people on the streets. Here, within the miscellaneous café’s and restaurants that line the streets, you are able to observe and get a feel of the culture of berlin on a more intimate level. Large groups of friends, families complete with a furry pet, starry-eyed couples, young and old fill cafes every evening. They talk animatedly with each other and openly laugh out loud, and give the impression of a people who value having and maintaining real relationships with their loved ones. They seem close. At the table, I never once saw anyone who seemed detached, fiddling with their phones, or gaming consoles. Waiters almost seem to forget you after serving you, yet one seem to mind as they are so engaged in conversation, no one is in a hurry to leave, and bill are only presented after prompting the waiter to remind them your about to leave without paying for your meal! These spaces act more than simply places to eat. People come here to have uninterrupted conversations, share stories and laugh together. Its typical to see an intimate couple holding hands over a table and leaning over for a kiss, an old man getting up to help his old lady into her coat before they leave, children playfully run around their table as their parents talk obliviously above them, well trained dogs laying lazily underneath the tables waiting for their owners to finish their meals. Meal times in berlin are carried out with a festive relish, and seem to be highlights of the day for many. For those dining alone, these cafes are perfect for people watching, and observing human interaction in all its forms! However if you’re caught staring, it’s polite to glance away and pretend it was a momentary thing, or risk coming off stalker-ish or threatening, which may result in a confrontation! Europeans tend to mind their own business and respect privacy a lot, but that doesn’t mean they don’t stare. They do, just in more covert ways! 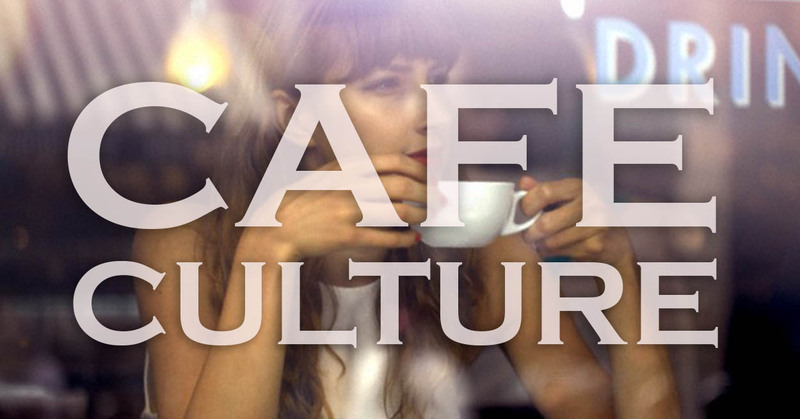 The Berlin café culture was a memorable experience. The food is great, the vibe is always warm and friendly, drinks are cheap (especially during happy hour) and in plenty, and if that doesn’t keep you coming back, in some restaurants, you are given a complimentary shot after a hearty meal! Now if that doesn’t impress you, clearly there is no pleasing you!